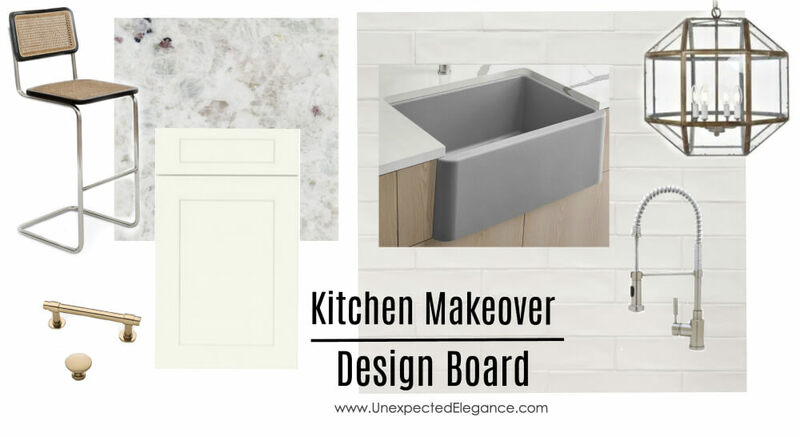 If you’ve been following along, then you know I’m in the process of designing my kitchen makeover. 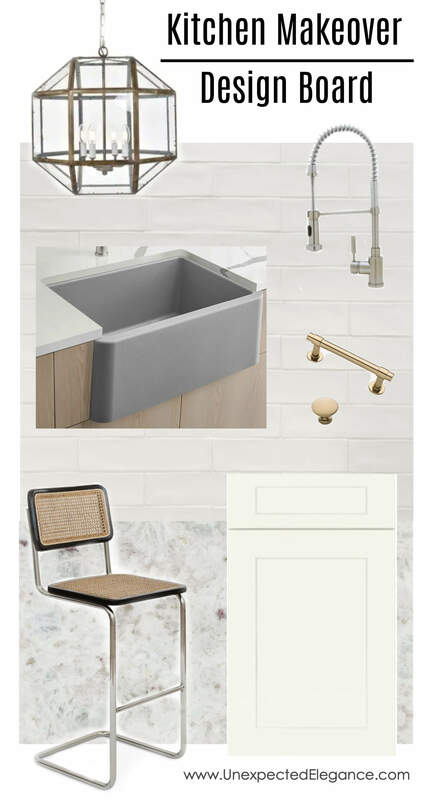 So as promised I’m sharing my design board with you this week! There are some items that I’ve already made a decision on, but others that I’m still trying to figure out. This design board is more of a wish list, because of some of the restrictions I will have with our current layout. The main reason I want to change the granite is so I can replace my sink! I would love to replace the double basin with a single and deeper bowl. 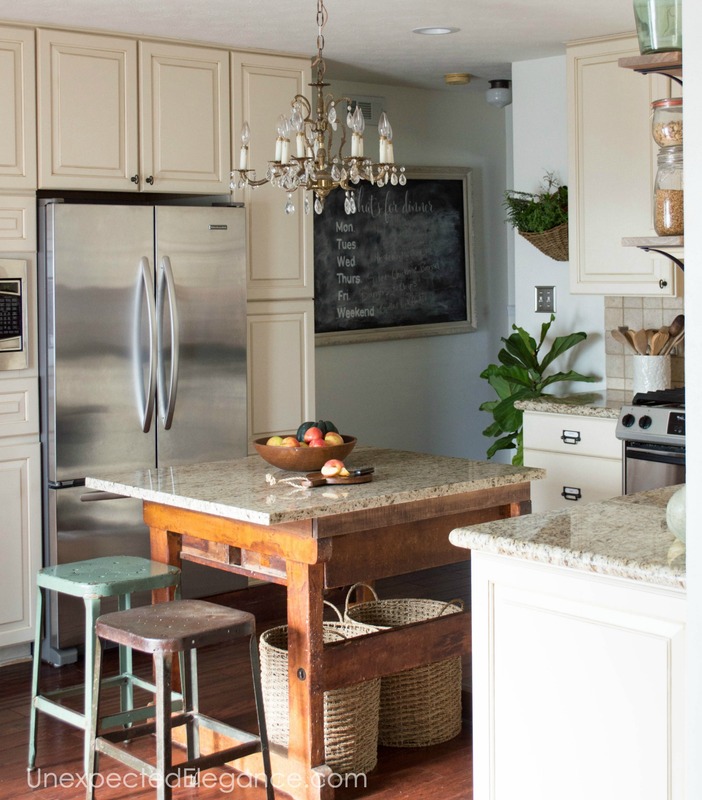 I reached out Blanco because I love their modern take on this traditional farmhouse sink. Isn’t it gorgeous?! 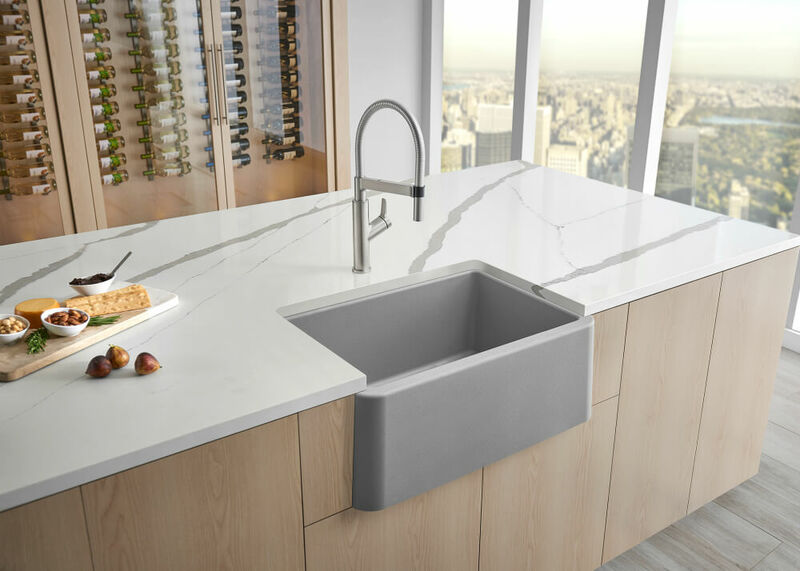 They just released this SILGRANIT sink in a new color: Concrete Gray. It’s a great color that complements a wide range of countertops for a little more of modern design. The best part about this SILGRANIT line is that it is a composite material made of up to 80% natural granite, which is scratch resistant and easy to clean. In more relevant terms, it’s repellent nonporous surface does not require the use of any harsh chemicals…you know I love natural cleaners! It also includes Hygienic+Plus surface protection and is heat resistant up to 536°F. Honestly, there’s so much to love about this sink. 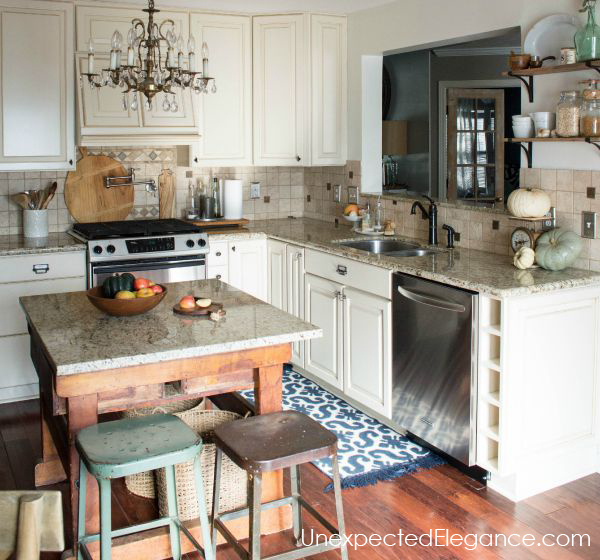 Now I just have to cross my fingers and hope that my countertops can be replaced! I have started on some of the kitchen demolition and will share the progress with you next week, so be sure to check back. Also, please let me know in the comments if you would like all the nitty-gritty details. I’d love to give you step-by-step updates of this entire process, but don’t want to overshare. Let me know your thoughts!